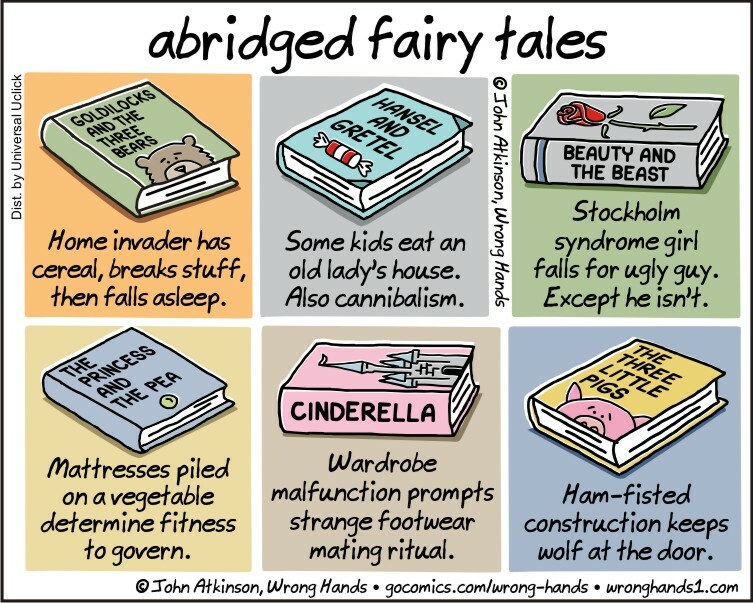 I will never look at these fairy tales the same again. Thanks for the smiles. Thanks. When you strip down fairy tales to their most basic, they’re pretty damn freaky. Cinderella: Girl loses shoe, wins lottery. I’d like to join them! The Ugly Duckling: the duckling is ugly. Then suddenly, he’s not a duckling and not ugly. Fabulous. Looking forward to Pinocchio. And Snow White. I actually abridged Pinocchio in the Italian language edition of my book Abridged Classics. It hits the shelves October 6th (in Italy).